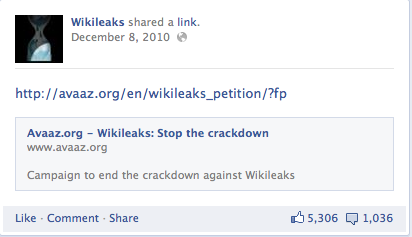 I have come across an Avaaz Petition that was advertised on the WikiLeaks Facebook Page on the 8th of December 2010. Let’s remind ourselves, it was the day after Julian Assange was arrested by appointment in the UK, the day after he was refused bail and entered Belmarsh prison. 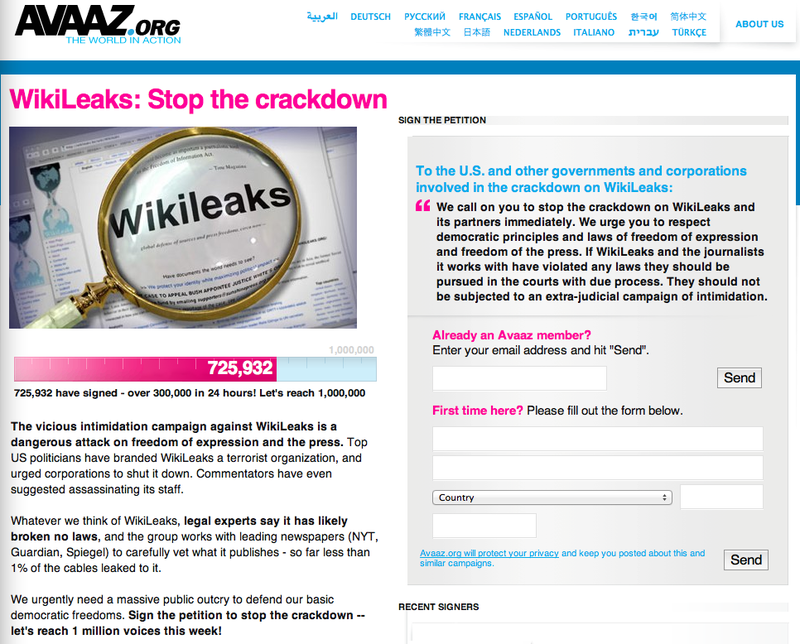 The Avaaz Petition does not specify a creator’s name but has over 725,000 signatories, it is still open, which to my understanding means it has not been submitted to the institutions it was supposed to be submitted. I have written to Avaaz requesting information on this matter and will update the thread accordingly.